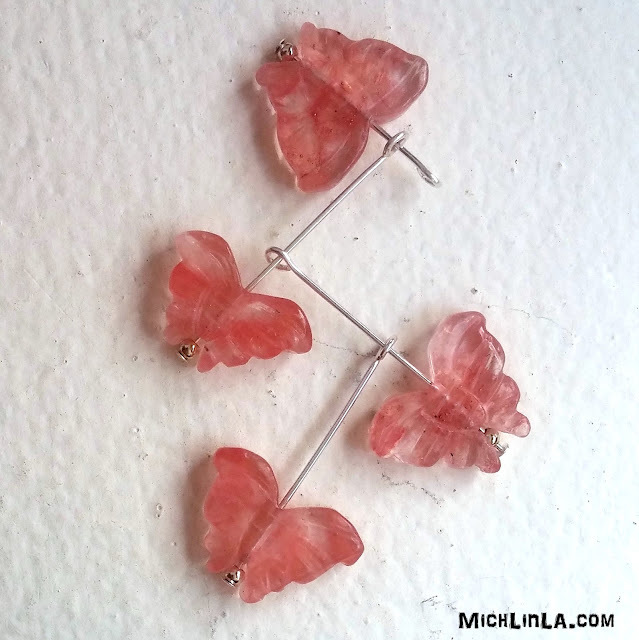 Mich L. in L.A.: Float Like A Butterfly Earrings - Tutorial! Float Like A Butterfly Earrings - Tutorial! Hi, all! 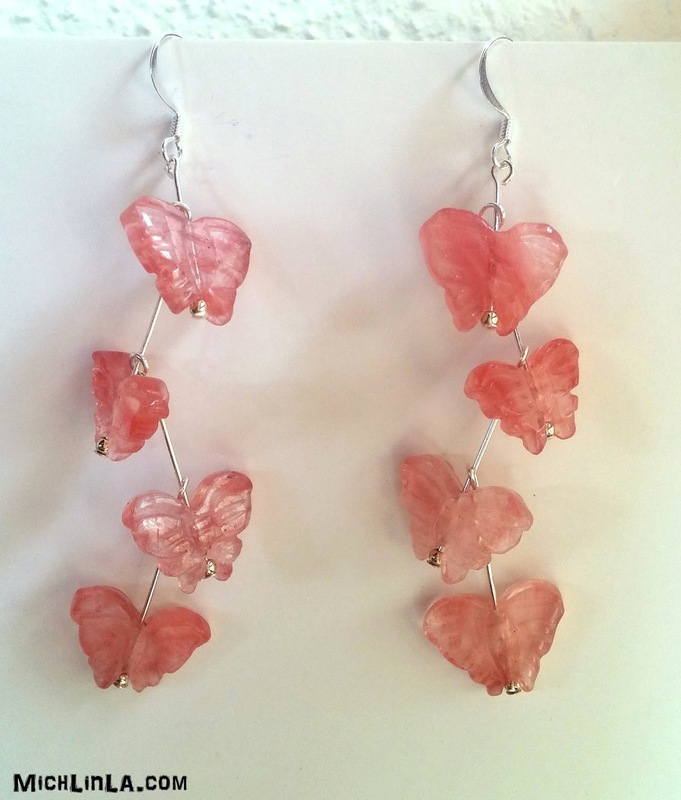 Check out these flittery, fluttery butterfly earrings. I know it looks complex, but it's not really so difficult, I promise. Tutorial begins now! Swivel open the loop on one of the long dangles, and add it to the empty section of the short dangle. Close the loop. It should look like this. 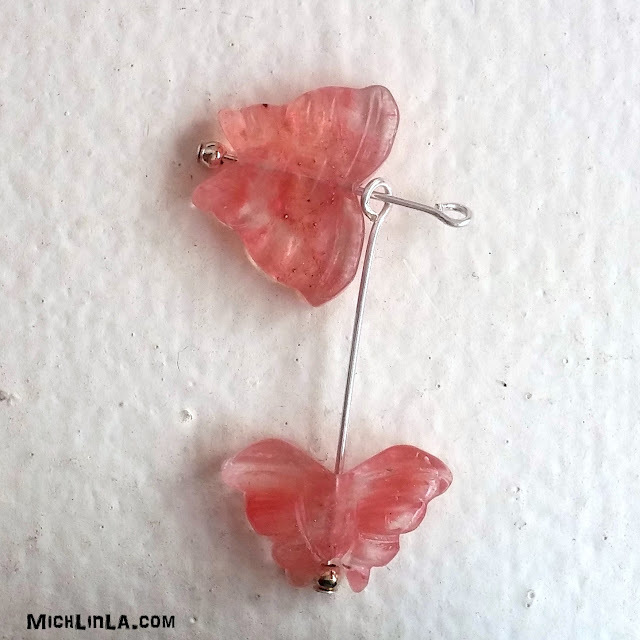 Now add an earring finding to the loop at the top of the cascade (the short butterfly dangle). 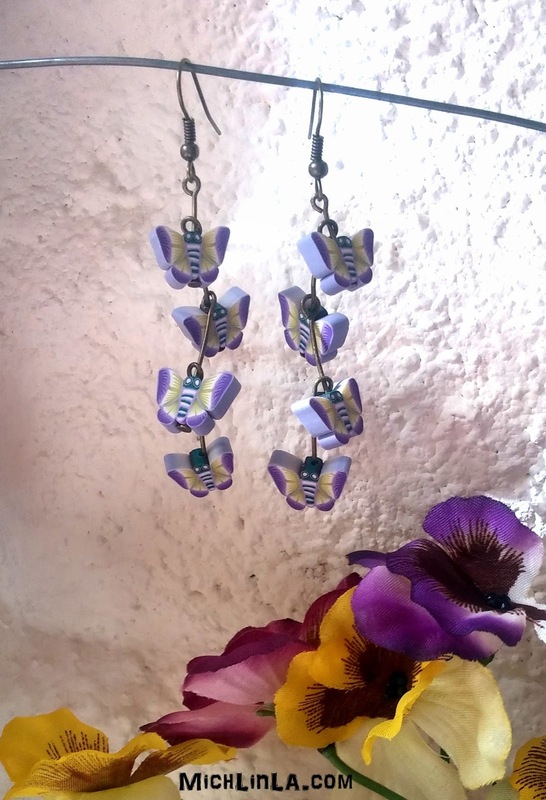 If you have two ears, make a second earring. And you're done! Aren't they fun? I used some little polymer clay butterflies from a bracelet I took apart, and some carved beads in a stone called strawberry quartz. 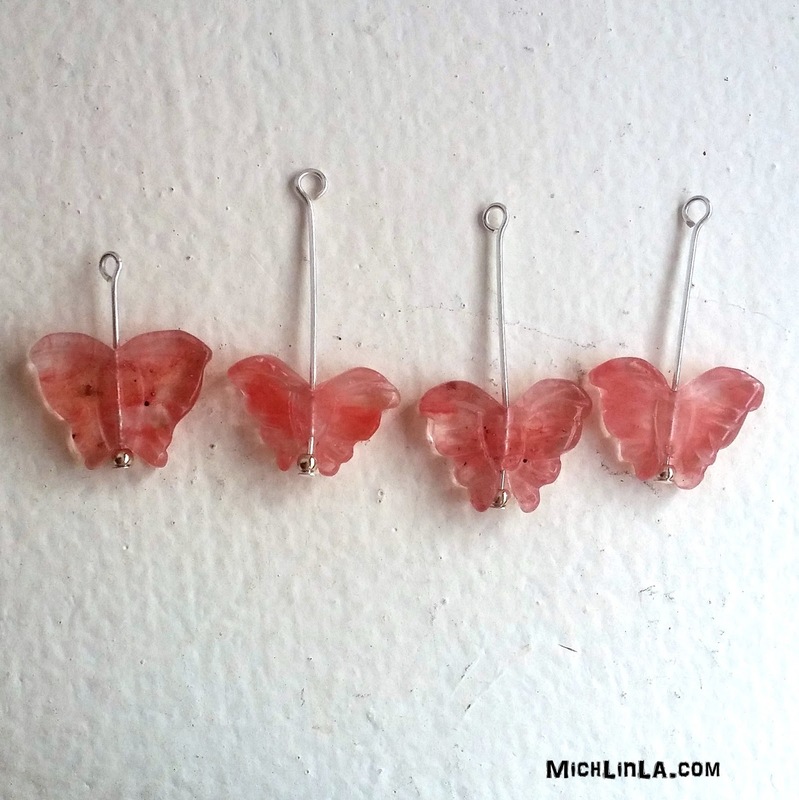 There are so many cute butterfly beads out there, I bet you find just the thing to make your heart flutter. In a good way. Not in a tachycardic kind of way. Hope some of you decide to give it a try! Ah, how sweet! I'll have to give it a try! 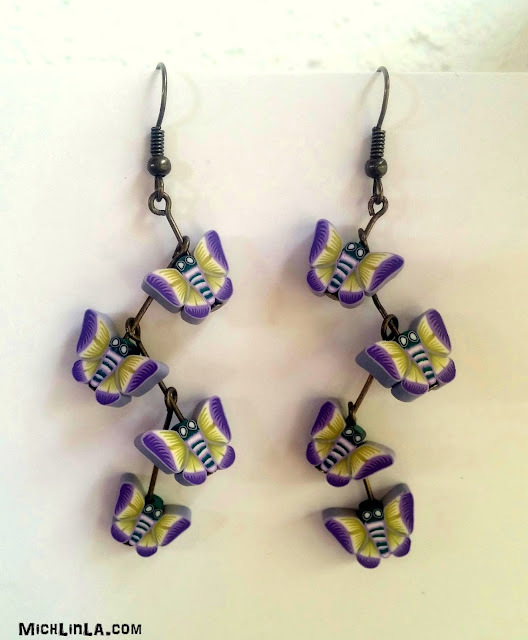 I bet those are lovely in motion! Time to go dig through my beads! So pretty and fun M. They just feel like Springtime. I just love how your creative mind works. These are so much fun!! 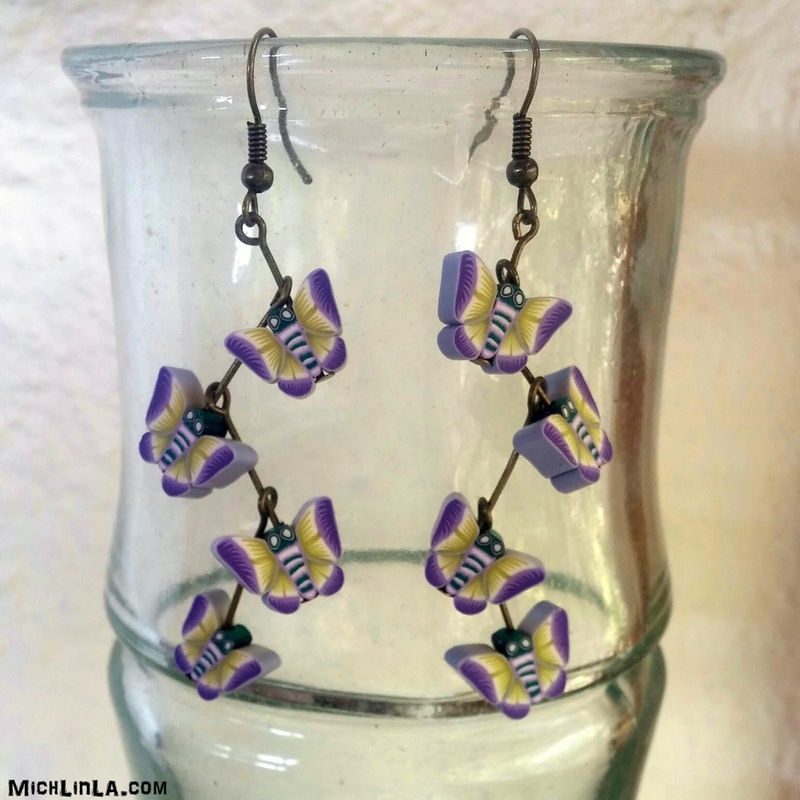 These are so pretty, a great way to give beads a new life. 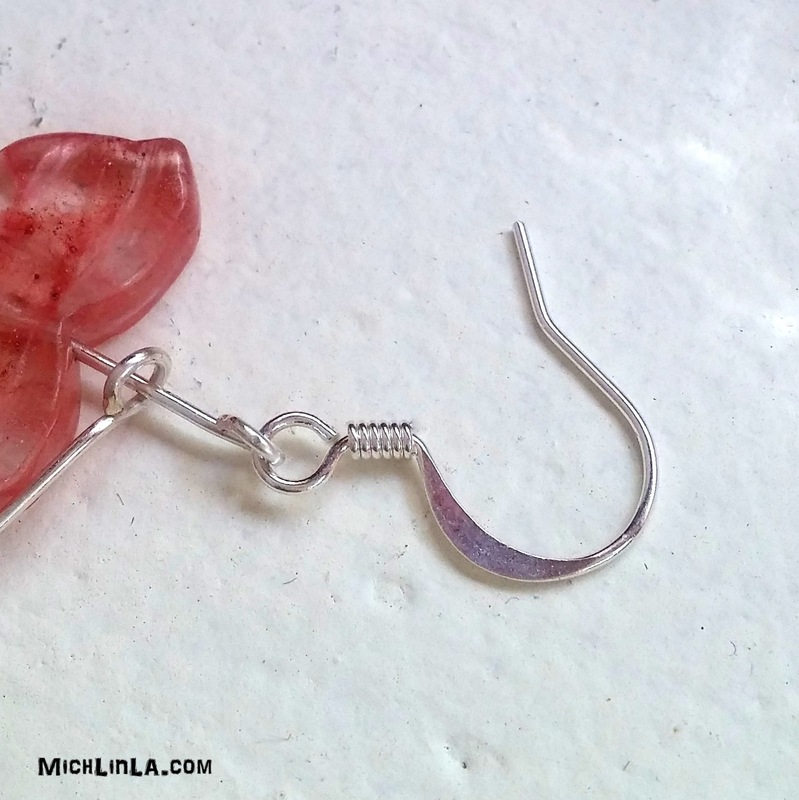 The 2 ears might be a promblem, but there's a solution for almost everything! I loved the playful pattern. So pretty Mich! Such a simple and effective idea!